• Persistent USD weakness helps build on overnight recovery move. • Reviving safe-haven demand provides an additional boost. • US CPI/monthly retail sales data to provide fresh impetus. Gold continued gaining some positive traction through the early European session and was seen building on overnight recovery move from over 1-week lows. The greenback selling pressure remained unabated on Wednesday, with the key US Dollar Index dropping to its lowest level in almost three-weeks and underpinning demand for dollar-denominated commodities - like gold. 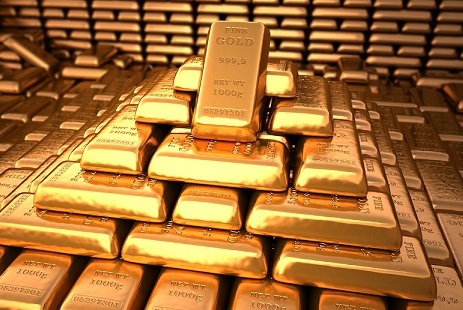 Meanwhile, a sell-off in global equity markets also seems to have revived the precious metal's safe-haven demand and remained supportive of the follow-through up-move on Wednesday. Currently placed at weekly tops, around the $1284-85 region, investors now look forward to the key US macro data - CPI and monthly retail sales data, which might influence December Fed rate hike expectations and provide some fresh impetus for the non-yielding metal. "The metal is likely to witness a bullish cup and handle breakout soon. A move above $1284 would confirm a bullish break and shall open doors for a rally to $1306 (Oct. high)." "On the downside, only an end of the day close below the 200-day MA of $1264 would signal the continuation of the sell-off from the high of $1357.52 (Sept. high)".